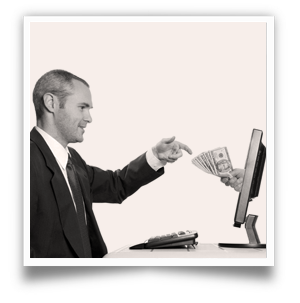 With the help of our partners, we are able to create a passive income stream for you through affiliate sales. It's the power of leverage! It's a wonderful tool, but it's not suitable to every type of product or service. Simply put, we create sale avenues with other businesses or individuals who are trusted, have proven sales ability, and followers in your niche to sell to - for a commission. Not only do we have affiliates in the traditional sense but we also offer cross promotion between suitable businesses. Typically this consists of one business with a service and one business with an innovative delivery tool. Both companies will benefit from the profit of the combined output. If you're interested in chatting about this further: Email me and tell me what your business needs! and of course, we'll gladly sign NDAs for viewing proprietary information.